When we initially built our calendar integration we did our best to make things easy for recruiting coordinators who did a lot of scheduling. 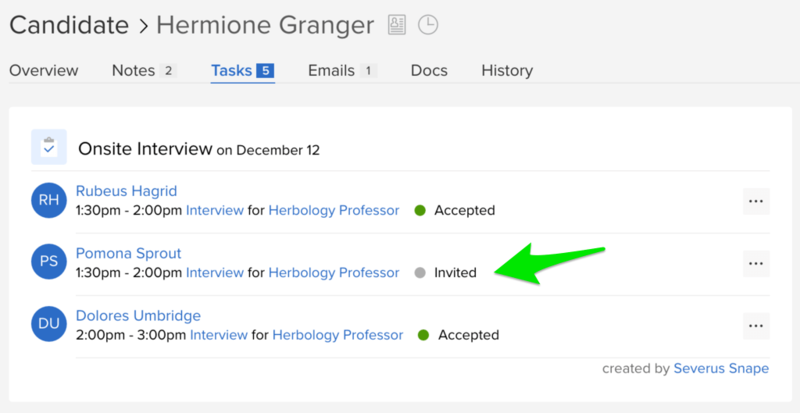 Folks told us that most of the interview invitations they sent were accepted by their team, but that they had to wait to send confirmation emails to candidates, making a difficult task even harder. 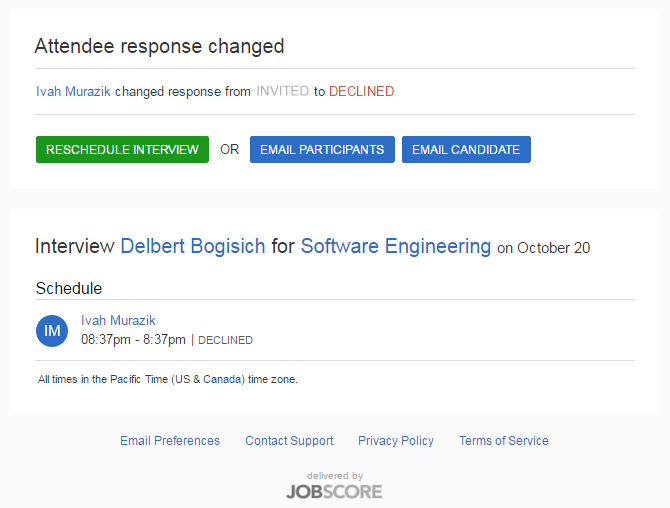 So, the calendar integration, by default, auto-accepted all events we published, making it easy to schedule interviews and send confirmation emails to candidates in one step. However, this caused problems for some companies that are accustomed to sending and accepting calendar event invitations. For these companies, we are excited to announce that we now have a calendar “invite mode” for Google Calendar, Microsoft Exchange and Office 365. In invite mode, the events scheduled through the JobScore calendar integration are published as invites and the calendar behaves as it normally would, notifying the user of the invitations in their email based on their personal calendar settings. Schedulers can easily take action from these emails to either send a confirmation email to the candidate once invitations are accepted or reschedule if they are declined. Invite mode is now a self-service option for the calendar installation. If you are on the Professional or Enterprise plan, you can enjoy this and all other features from our Calendar integration. If you’d like to learn more about switching to Calendar Invite mode, please contact support@jobscore.com.